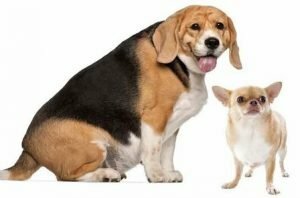 Did you know that the following problems are linked to obesity in dogs? Diabetes, Cardiac disease, Musculoskeletal disease, Early onset arthritis, Pulmonary disease, Decreased Life Span. We can help your full-figured dog by providing a safe means of exercise to compliment whatever nutritional and medical care your dog is already receivingPrimary means of exercise initially is hydrotherapy so that your dog can exercise without added joint stress secondary to obesity. The program is monitored to your dog’s tolerance. As he begins to shed the pounds, other exercises can be added for variety and fun as well as increasing his cardiac workout. It is important to accept that there is no magic cure involved. It takes DIET and EXERCISE. 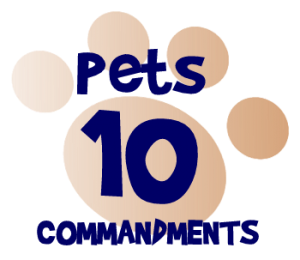 We recommend a nutritional consult with your vet, an orthopedic evaluation and then therapeutic exercise 3-5 days/week initially (some of this exercise can be walks with the owner if possible). Your dog should be weighed once a week. Punch cards are available. The fat and happy approach! Dogs love to eat, and because they so obviously enjoy their food, it is fun to feed them. We know overweight dogs don’t live as long, but dogs don’t worry about the future anyway. Why not let your dog live a shorter, more contented life? This is a reasonable approach, and you may decide to let your dog be fat and happy. As he gains more weight, the fat and happy dog will become less active. As middle age approaches, lameness problems usually make it difficult to move around. There will be a greater likelihood of diabetes, respiratory problems, heart trouble and other diseases. The lean and lively dog may not be quite as well satisfied at mealtime, but as he ages your dog will continue to be interested in the world around him. He will enjoy running and playing well into old age. Although the “lean and lively” approach may be better for the dog, it is harder on the owner. Food must usually be given in measured amounts, divided into two meals a day. If your dog has been over-fed and suddenly finds himself on a diet, you can expect complaints. .
Divide the recommended amount of food into at least two feedings per day. Decide on a regular feeding schedule and give a measured amount of dog food each time. Do not give treats. Instead, divide your dog’s recommended amount of food into smaller servings. At times when he usually expects a treat, feed a small meal instead. Keep your dog out of the room when food is being prepared or eaten. Provide a brisk 10 to 15 minute walk twice a day. This helps burn calories, tends to reduce the appetite, and gives your dog something to look forward to besides eating. Weigh your dog every week. If he is gradually losing weight, hang in there. If not, reduce the food. When he has lost enough weight, you can increase the food a little.